There is no doubt that the world needs to move away from fossil fuels in the long term. The prime way to reduce our carbon emissions is to stop using coal. The UK is phasing out coal by 2025. 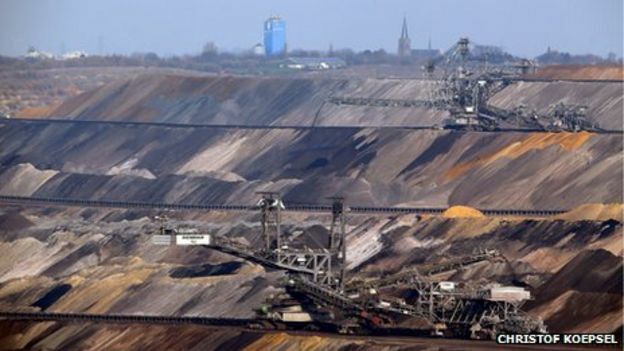 However, supposedly ‘green’ countries like Germany are moving away from nuclear and shale gas, and the result is a massive increase in the dirtiest coal of all, lignite. The strip mining that accompanies this wrecks the environment, as well as the atmosphere. One thing is for certain, we will be using gas from somewhere for several decades. Over 80% of homes are heated with gas, and it’s one of the main backup fuels for electricity, especially for unreliable sources such as solar and wind. Responsibly produced it has around half the carbon footprint of other coal. Biogas is a possible solution but would never fulfill the UKs needs. How many trucks would be needed to transport all the waste for a significant amount of production? Gas is also the main feedstock for the chemical and pharmaceutical industries that employ 1 million people and are worth £50 billion to the UK economy. The questions isnt whether we will be using gas, it is where will we get the gas from? Professors McKay and Stone looked at this for the Govt in 2013, and they concluded that the lowest GHG equivalent method is to extract our own. They also made 8 recommendations that have advised regulators. There is an energy impact of importing gas from Qatar, or the US, in liquefying the gas, and in transporting it. Long pipelines from Russia and the Middle East increase the leakage rates. Any comments about transmission losses are rather irrelevant as we have a well established gas grid that FFR seem to have forgotten about. To get the lowest GHG emissions, UK shale gas is the way to go! That is why Climate change gurus, contributors to the Climate Change Act 2008 and environmental campaigners, Stephen Tindale and Baroness Bryony Worthington have come out in favour of shale gas. See Stephen’s comments here, and an article about Baroness Worthington here. Much of the FFR article concerns methane emissions. Flow fluids back into open pits where dissolved gases can escape. (Not permitted in the UK. See this link Page 4). UK regulations require a closed system where all fugitive gases are contained. Recently concern was raised about methane being detected above the US, and this was blamed on fracking. However this study made it clear that the source of methane was mainly farming. As usual Frack Free Ryedale have ignored the extensive consultation and good science done to mitigate genuine concerns about greenhouse gas emissions. Instead they have relied on bad practice from the US to raise scare stories that do not apply in the UK. .